Prime Minister Lee Hsien Loong called on Commonwealth member nations to promote trade, and warned against trade conflictyesterday. He warned that unduly restricting investments will not only damage the rules-based multilateral system of trade and investments but also cause power rivalry that can be destabilising and dangerous to the world. Malaysian Prime Minister Najib Razak's plan to unveil candidates for Barisan Nasional in the May 9 polls soon after dissolving Parliament has been ditched. Umno sources said his earlier resolve to field new and younger faces in up to 40 per cent of the seats has been shaken due to potential defections by party veterans. India is seeking to repair ties with China, with a flurry of high-level visits to Beijing, the latest by External Affairs Minister Sushma Swaraj today. 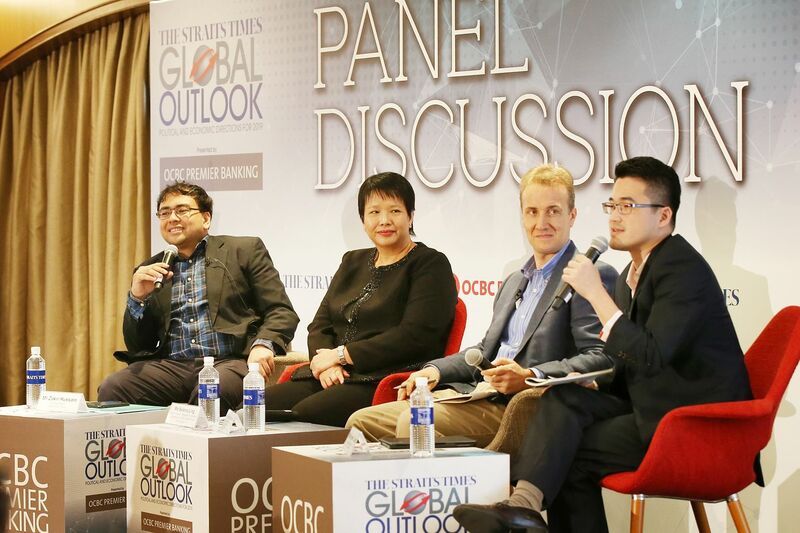 Both Asian giants have been careful not to allow ties to worsen beyond a point, as neither side wants an all-out war, nor have they allowed economic ties to be hurt by political disagreements. The United States Treasury Department is considering using an emergency law to curb Chinese investments in sensitive technologies. Under the 1977 law, President Donald Trump could declare a national emergency, allowing him to block transactions and seize assets. How will summit play out? As expectations ramp up for the coming summit between the leaders of the US and North Korea, veteran diplomat Bilahari Kausikan looks at what "denuclearisation" might or might not mean to the North Koreans. Singapore's beloved polar bear Inuka may be put down on Wednesday. The 27-year-old animal, which has surpassed the average life expectancy of polar bears, is due for a medical examination that day, and if it is found to be suffering, it will be let go, the Singapore Zoo said. Doctors from Sengkang General Hospital, which opens later this year, have been doing stints at the Tan Tock Seng Hospital (TTSH) emergency department to get up to speed. The collaboration will also see TTSH trauma surgeons shuttling between both hospitals. Datapulse Technology's board endured a three-hour grilling at yesterday's special shareholder meeting as vexed minority shareholders poked holes at and, at times, mocked the directors over their independence, competence and the commercial logic of a hasty buyout. But when it came down to the votes that counted, the incumbents managed to keep their seats. Former cycling superstar Lance Armstrong will pay US$5 million (S$6.56 million) to the United States government to settle a fraud lawsuit that contended he owed US$100 million to taxpayers for doping while competing for a cycling team sponsored by the US Postal Service. 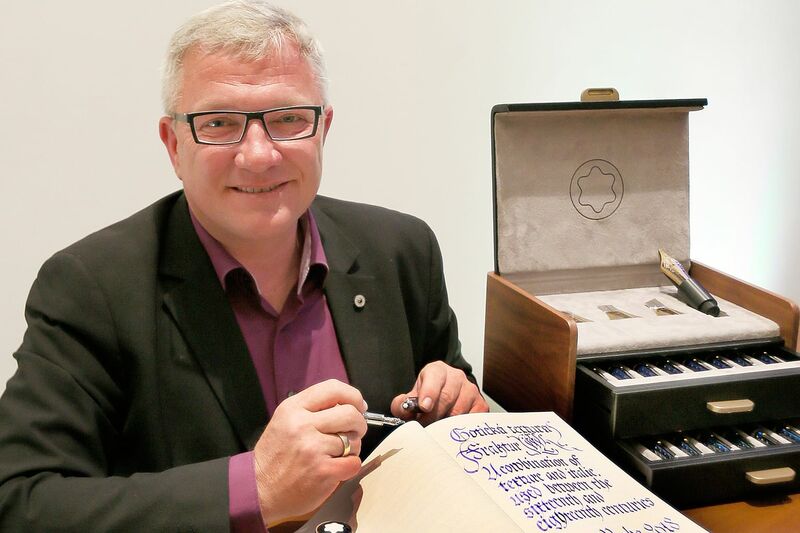 Montblanc's fountain pen and nib expert Axel Nier (above), 47, took more than a decade to perfect the art of designing pen nibs. The German luxury goods manufacturer offers personalised nibs. Despite a hefty price tag, demand has grown.